Lucette Lagnado, a longtime Wall Street Journal reporter, is the author of two memoirs about her family: The Man in the White Sharkskin Suit: A Jewish Family's Exodus from Old Cairo to the New World, and The Arrogant Years: One Girl's Search for Her Lost Youth, from Cairo to Brooklyn. 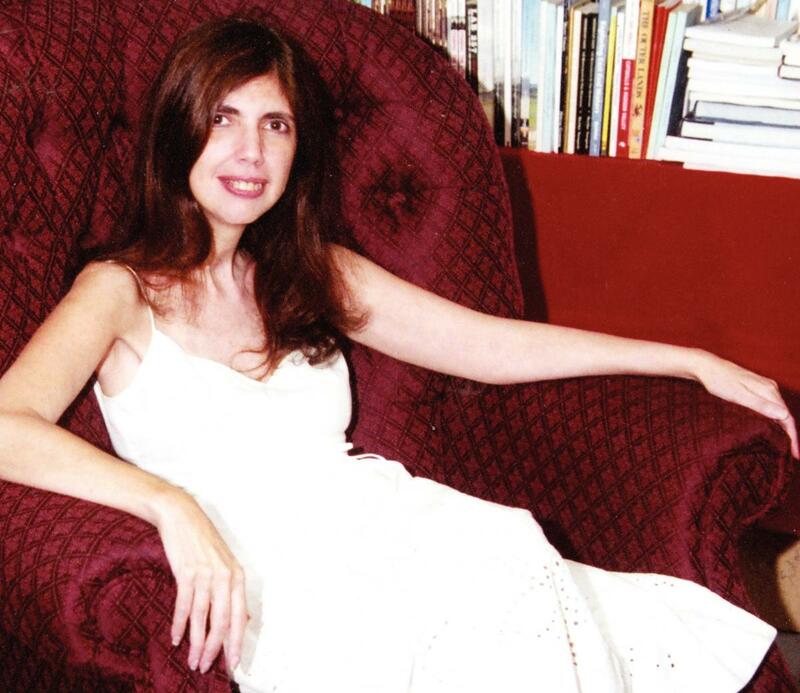 She is also the co-author of Children of the Flames: Dr. Josef Mengele and the Untold Story of the Twins of Auschwitz. She lives in New York. of your mother, and did you know when you started The Man in the White Sharkskin Suit that you would be writing a second memoir? A: Complicated answer -- for many years the only book I wanted to do was a memoir of my Egyptian-Jewish family -- I was obsessed with that and worked on a number of drafts. I recall how one day, it must have been father's day seven or eight years ago, I was feeling very blue, very melancholy. Out of the blue I penned a piece for The Wall Street Journal, my paper, about my dad, Leon -- it was based on the HIAS [Hebrew Immigrant Aid Society] files I had obtained, my family's immigration record to America; the piece came out under the headline "Of Life and Debt"; it told the story of how my dad took years to repay the debt for our tickets to America on the Queen Mary -- $10 and $15 at a time, basically. 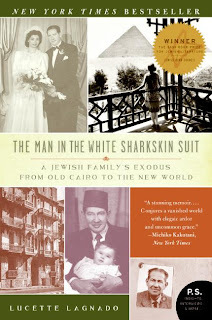 I received a call from an agent, Tracy Brown, who asked to meet with me; he said that he thought that there was a book in my relationship with my father against the backdrop of Egypt; I was absolutely enthralled with the idea; I worked on a proposal that became The Man in the White Sharkskin Suit. The encounter with Tracy Brown was wonderful because he helped me focus this story that I had wanted to do for so many years, and that had been too unwieldy. Q: Do you have plans to write a third memoir about your family? A: Great question -- and I don't have an answer. 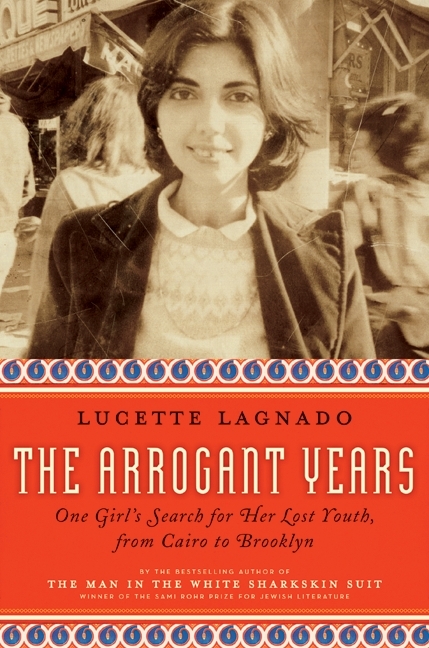 Q: What is the significance of the title "The Arrogant Years" in relation to your family's story? A: As a freshman at Vassar, one of the books I read was F. Scott Fitzgerald's Tender is the Night; It was a few months after my bout with Hodgkin's Disease, I was feeling very broken very down and out -- a really awful period. Was very struck by the novel whose heroine Nicole is this promising young girl who gets institutionalized for mental illness; there was a line that even then caught my eye, the line was about how she had lost (two of) the great arrogant years in the life of a pretty girl. And I thought wow, that is me, that is also me. I thought about that line a lot over the years. When it came time to work on this companion memoir I knew that I wanted it to be about personal loss, about what it is like to suffer from a major illness as a young girl; And I thought of that line and decided, that is what I want my book to be called. It would be a memoir about the loss of arrogance, mine as well as my mother's, about the death of hope that comes with a traumatic, shattering illness. That was the idea and I suppose I had it way back then. Q: What was it about Emma Peel that captured your attention? 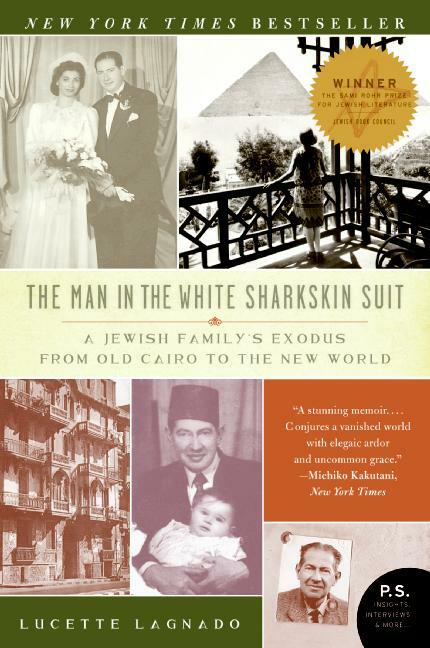 Q: How have members of the Egyptian Jewish community (both in the United States and in other countries) responded to your books? Q: What is your sense of the situation in Egypt today, and what do you think is likely to happen there in future? Take a look at poor Egypt now; the Egyptian people are so desperate, they don't want another dictator but that is what they have; and he is a million times worse than Mubarak. I am deeply pessimistic about my poor country.